When you hire a lawyer to represent you, you have the right to expect that your lawyer will provide timely, effective, and ethical representation. Your lawyer should be competent to properly evaluate the legal issues involved in your situation or case. During the course of representing you, your lawyer should properly analyze the relevant law and issues. Your lawyer should communicate with you, should be loyal to you, and should protect your confidential communications. Breach of fiduciary duty: a lawyer's breach of fiduciary duty to a client, meaning that the lawyer's conduct was not in the best interest of the client. In a typical case, legal malpractice can be construed as a form of breach of contract, with the lawyer failing to meet duties owed to the client who has retained the lawyer's services. However, a legal malpractice claim is distinct from a normal breach of contract claim and requires different elements of proof. Failure to file a timely appeal. Sharing confidential client information with other persons or parties. Most legal malpractice cases are based on a theory of negligence. As every case is different, it is important to fully evaluate the facts of a case to determine whether or not legal malpractice occurred. Attorney-Client Relationship: The existence of an attorney-client relationship between the plaintiff and the defendant lawyer. Damages: The nature and extent of the injury that the plaintiff alleges to have occurred. These elements are largely consistent from state to state. However, as laws are different in each state, it is important to investigate the elements of legal malpractice for the state in which a claim is brought, and to make sure that the claim is consistent with the state's laws. In order to prove a legal malpractice case, the plaintiff must prove all of the elements of the malpractice claim by a preponderance of the evidence. Any legal malpractice lawsuit must also be filed within the statute of limitations, the deadline defined by the state for filing a lawsuit. The statute of limitations for filing a legal malpractice case is often short, with many states requiring that any lawsuit be filed within one or two years of the alleged act of malpractice. In order to prevail in a legal malpractice lawsuit, a plaintiff must first establish that an attorney-client relationship existed. In the absence of an attorney-client relationship, the lawyer doesn't have any duty to the client and there is no basis for a malpractice action. After a bad experience in a lawsuit, some people wonder if they can sue the other party's lawyer for malpractice. They cannot, as they have no attorney-client relationship with the other party's lawyer. In a simple legal malpractice case, it may be possible for a client to prevail without presenting expert testimony to prove the standard of care. Once a plaintiff has proved that an attorney-client relationship existed and that the lawyer failed to provide legally adequate representation, it is necessary to prove that the plaintiff suffered an injury as a proximate result of the lawyer's negligence. That is, the plaintiff must prove that an injury followed from the lawyer's neglect or misconduct. For example, consider a case in which a defendant is on trial for murder. If the defendant confessed to the murder, left fingerprints all over the victim's house, and was caught while trying to use the victim's credit cards, the defendant won't be able to demonstrate that the lawyer's mistake affected the outcome of the criminal case, and thus won't be able to show that the injury resulted from the negligence. Also, the injury suffered must be a reasonably foreseeable consequence of the attorney's negligence or misconduct. If the connection between the alleged act of negligence and the harm suffered is speculative or extremely attenuated, it may not support a malpractice claim. 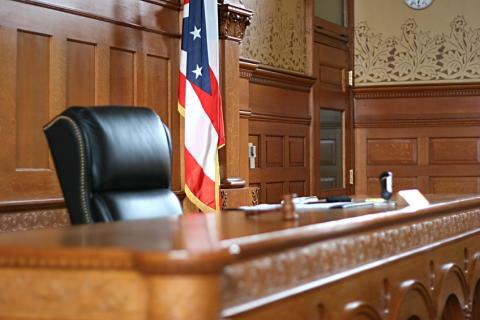 For example, if a lawyer fails to file a lawsuit before the statute of limitation expires, there is a clear connection between the lawyer's action and the plaintiff's loss of the ability to successfully prosecute that lawsuit. But if the plaintiff claims that the dismissal of the lawsuit resulted in his inability to pay bills and tries to recover bank fees for overdrafts, that damage claim is too far removed from the lawyer's mistake to allow for recovery. As a final element of a legal malpractice claim, the plaintiff must ordinarily establish that damages were actually suffered as a result of the legal malpractice, and the nature and amount of those damages. Even if all other elements of a malpractice case are established, if the plaintiff cannot show that any damages resulted from the legal malpractice the lawyer will normally be entitled to a dismissal of the case. For example, a lawyer's failure to file a lawsuit before the statute of limitations expires can support a legal malpractice claim. But if during the malpractice lawsuit it is determined that the plaintiff could not have succeeded in the lawsuit, the plaintiff will not have proved that the failure to file the lawsuit in a timely manner resulted in damages. The most common defense to a legal malpractice claim is a simple denial that an error occurred. However, with the benefit of 20/20 hindsight, even when decisions seemed reasonable when made, it is always possible to identify lawyer decisions that might have negatively affected the outcome of a case. The attorney judgment rule protects an attorney who acts in good faith and keeps the client informed and involved in the case, but during the course of representation makes what turn out in hindsight to be strategic or tactical errors in handling a case. Under the attorney judgment rule, where an attorney makes decisions or judgments in good faith and with the honest belief that the decisions were well founded in the law and made in the best interest of the client, an attorney is not liable for what, in hindsight, turn out to be errors in judgment. In other words, although a gross error in judgment may be actionable as legal malpractice, a mere error in judgment made in good faith based upon the facts that were known at the time will not support a legal malpractice claim. Attorneys are not ordinarily charged with anticipating changes in the law. Thus, it is not ordinarily possible to obtain a malpractice verdict against a lawyer when the lawyer's advice or representation turns out to be faulty based upon legal changes that occur after the lawyer acted or provided the advice, such as the issuance of new case law or the passage of new legislation. At times there are clear indications that a change in the law may be soon occur. For example, some legislative proposals are under debate for years prior to passage, with considerable discussion of what changes may occur and how those changes may affect people. When appropriate, a good lawyer will advise a client about possible and probable changes in the law. However, lawyers are not charged with being able to predict the future. The "Case Within A Case"
In many legal malpractice actions, there may be discussion of whether the plaintiff could win the case within a case, sometimes referenced as a trial within a trial. This discussion occurs in malpractice cases involving prior litigation, in which a plaintiff claims that as a result of the lawyer's negligence they either lost the case or to recovered a smaller amount of damages than warranted by the facts and law. In order for the plaintiff to establish that damages were suffered as a result of the alleged malpractice it is usually necessary for the plaintiff to prove that, but for the malpractice, a favorable verdict would have been won or greater damages recovered. In essence, this is a retrial of the original litigation within the context of the malpractice action - thus, a case within a case. If the outcome of the prior litigation is irrelevant to the malpractice case, then a plaintiff is typically excused from proving the case within a case. For example, if a criminal defendant pleads guilty or is convicted, but discovers that a lawyer's later mistake resulted in a more severe sentence, the defendant may be able to pursue a legal malpractice claim over that mistake without first proving innocence. Within the context of a legal malpractice action, a lawyer may normally utilize what were formerly privileged communications from the client in order to dispute allegations of negligence. For example, if a defendant sues a criminal defense lawyer alleging that the lawyer's mistakes resulted in wrongful conviction, the lawyer may be able to introduce admissions of guilt made by the client during the course of the litigation to defend against the lawsuit and claim of damages. Before filing a legal malpractice lawsuit, a client should consider whether the disclosure of confidences within the context of a malpractice lawsuit will cause a harm disproportionate to the potential recovery. Although the lawyer is not entitled to disclose confidences that are not relevant to the malpractice claim, the relevant confidential communications may be harmful or embarrassing if disclosed. There are lawyers in every state who represent clients in legal malpractice cases. Nonetheless it may be difficult to find a local lawyer who accepts legal malpractice cases. If you are having difficulty finding a legal malpractice attorney, consider using a lawyer referral service offered by your state or county bar association.